Fairy Park is a magical fairy theme park for children. It is situated on a rocky hilltop at Anakie, near Geelong. 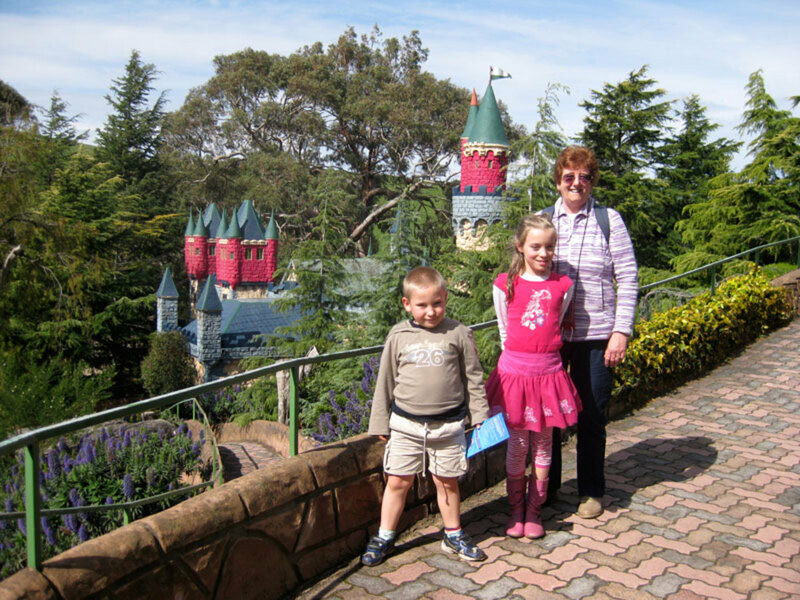 There’s lots of fairytale sculptures and fairytale cottages with voiceovers of fairytales set amid landscaped gardens, a large sized Camelot Playground guaranteed to wear the kids out, a castle and model train railway at the top of the hill and family BBQ and picnic areas. 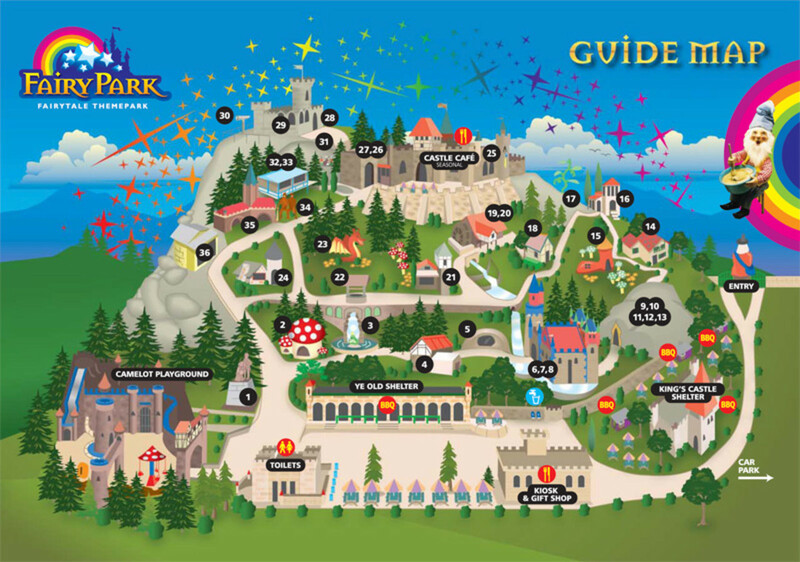 Inspired by European storytellers, such as Jacob and Wilhelm Grimm, the fairytales at Fairy Park cover most children’s favourites, including Cinderella, the Three Bears, Jack and the Beanstalk, Snow White and many more. Fairytale Land (the fairy walk in Fairy Park) contains over 22 handcrafted scenes with digitised sound and lighting which can be animated by pressing a button. Cottages and castles nestle in the lush, landscaped gardens up the side of the hill. Many of the cottages and garden features are representative of German-style traditional buildings and add to the the Grimm experience. The gardens complement this style too, with pine trees, rock walls and neatly trimmed hedges. Proceeding forwards from the photographic map at the entrance to Fairytale Land will lead you past the Happy Gnomes magic mushroom cottage and then to the Frog Prince waterfall. The Frog Prince waterfall scene is magnificent (view photo right) and has lots of buttons set into the wall for children to press. Upon pressing the button, children are delighted with streams of water issuing from the mouths of the frog statues. Past the Frog Prince waterfall you will see Snow White and the Seven Dwarf’s cottage and a hobbit-hole type of building where Snow White Awakens. Before the castle with a drawbridge there are some magic mushroom statues and a fountain in the garden to the right. The castle is a cutie and is devoted to Rumplestiltskin, Cinderella and Puss In Boots. Cinderella dances around a ballroom and Puss in Boots attends a feast. Over another drawbridge and outside the castle, a short walk ends in The Cave, a short tunnel comprising lit up scenes from The Magic Carpet, Aladdin, Sinbad, Ali Baba and the Snake Charmer. 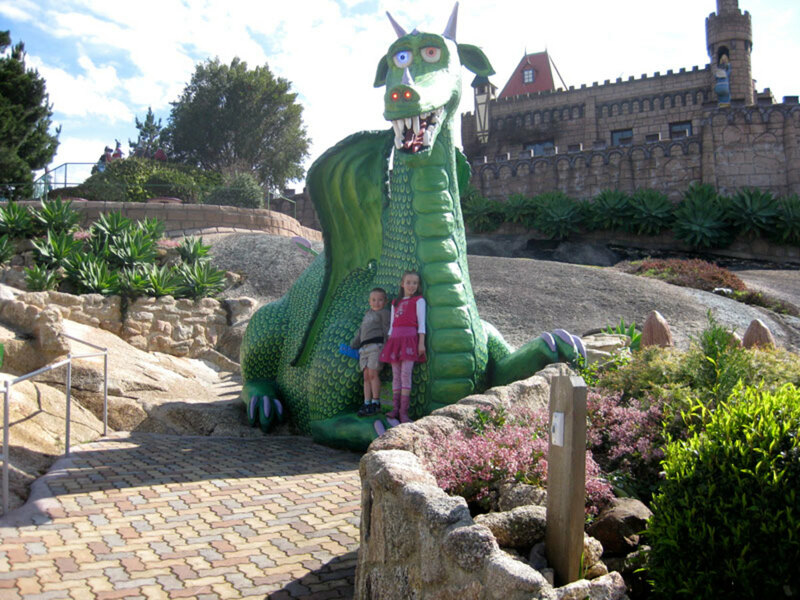 The snake looks quite real and children love the “treasure” sprinkled everywhere. Don’t forget to say “Open Sesame”! Outside the tunnel is the Three Bears Cottage, with nice heart-cut shutters and a panoramic view on the side of it. 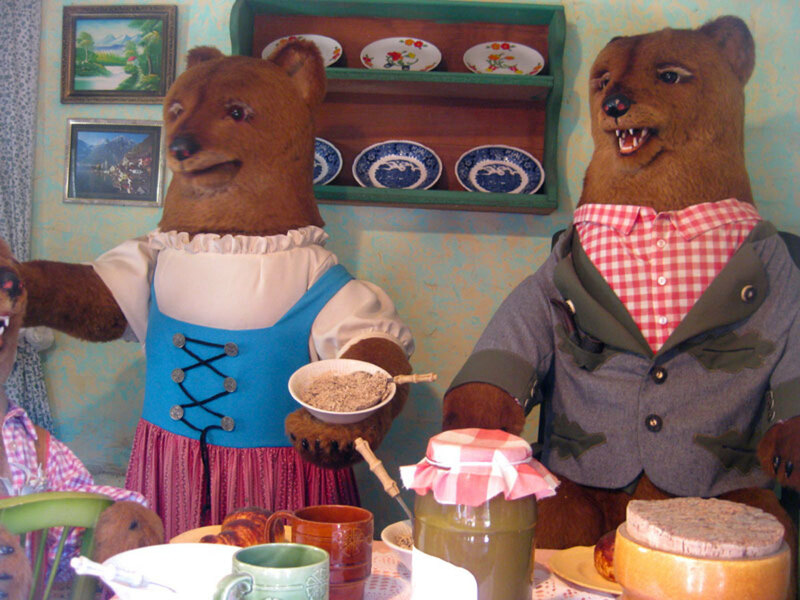 The three bears are well done (if a little fierce-looking) and Goldilocks can be seen inside. Look on the left as you leave the Three Bears Cottage to see a shoehouse scene set into the rocks. Walk up the path and past the waterwheel to Siegfried, King of the Nibelungs and The Seven Little Kids in a larger cottage with a child-sized balcony. The Town Musicians are in a cottage on the way out of the court. Further along is a wishing well and a great view of the main castle on top of the hill. Pop the Magic Dragon is in the garden to the right and Hansel and Gretel follow in the lolly-covered gingerbread cottage on the intersection. Turn right to head to the Castle Café at the top of Elephant Rock, including the summit with panoramic views, model railway, train museum and more. 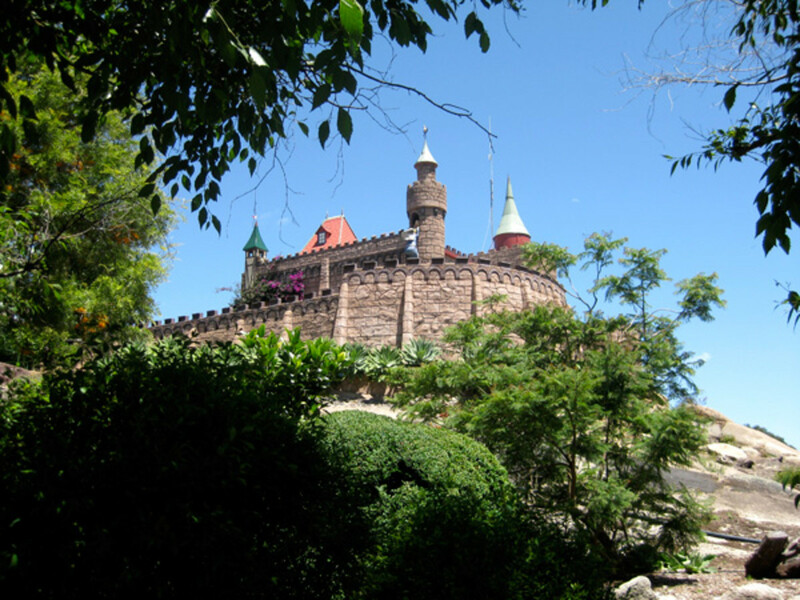 The Castle is situated at the top of Elephant Rock, beside the extinct volcano of Mount Anakie. 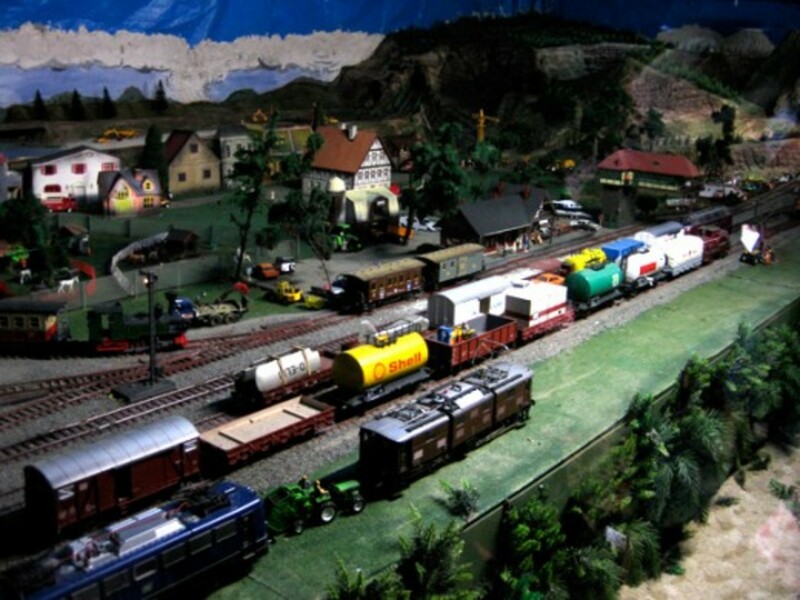 The small Train Museum in the Castle houses a rare collection of Markilin (gauge 1) model trains. Enter into the darkness next to the Train Museum to view the Model Railway (approximately 5m x 2m). 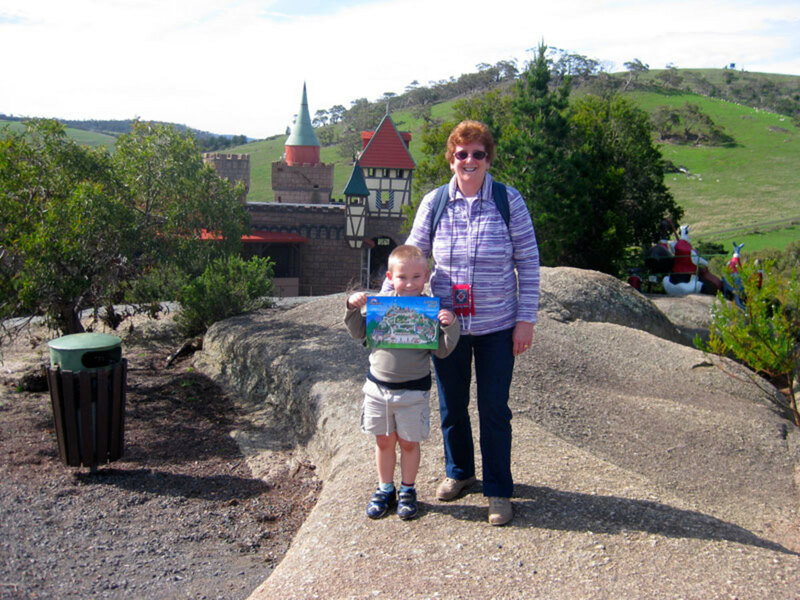 Children love the model railway as there’s a few buttons to press to get the trains running over the landscape, around the mountains and through the tunnels. Rapunzel and Sleeping Beauty can be found at the top – Sleeping Beauty is in a gorgeous little castle near the summit and children can peep through the gate to see the scene. Scenic views can be seen and photographed at the summit and there’s a telescope to view the surrounding countryside with. Walk away from the Castle Café around the back of the rock to see Daisie’s 5 Band – a band of sculptured musicians on the rock. Head back down the hill to see a rather ugly sculpture of The Apes – guaranteed to be a hit with rebel boys everywhere. Alice in Wonderland’s Cottage follows, with a sweet sculpted artistic mural on the wall of the cottage. A pictorial display is in the last cottage on the way down and offers photographic opportunities, where you can capture people’s heads in knights bodies and so on. Camelot Playground is a large sized playground with one main entrance, designed to keep children busy for ages. 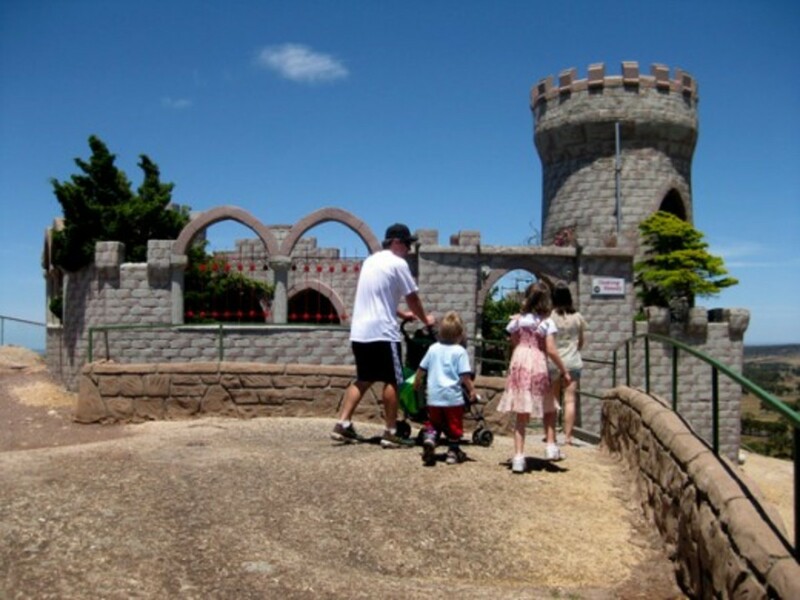 There’s tunnels, turrets, dungeons, towers and fairytale sculptures for children to climb around on and lots of playground equipment including a giant slide, carousel, roundabouts and swings. 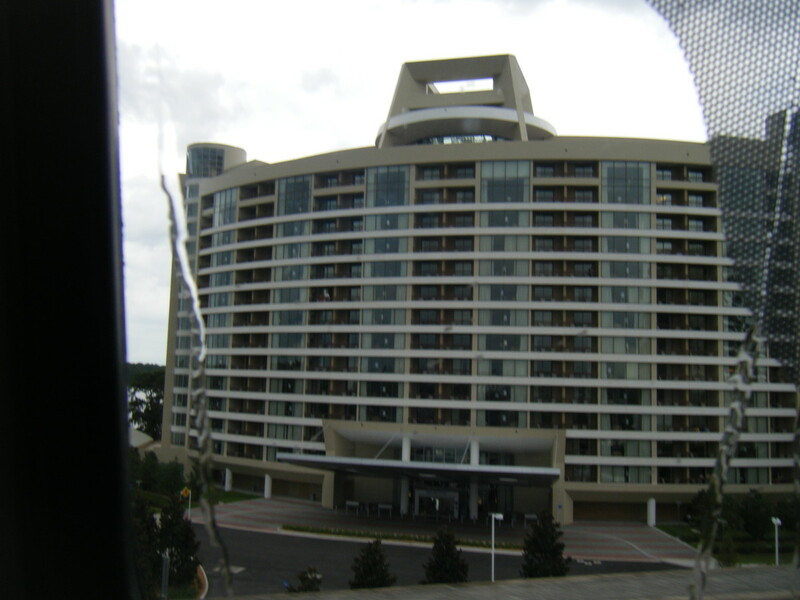 Be careful not to press the button in the central tower or you might get a wet surprise! 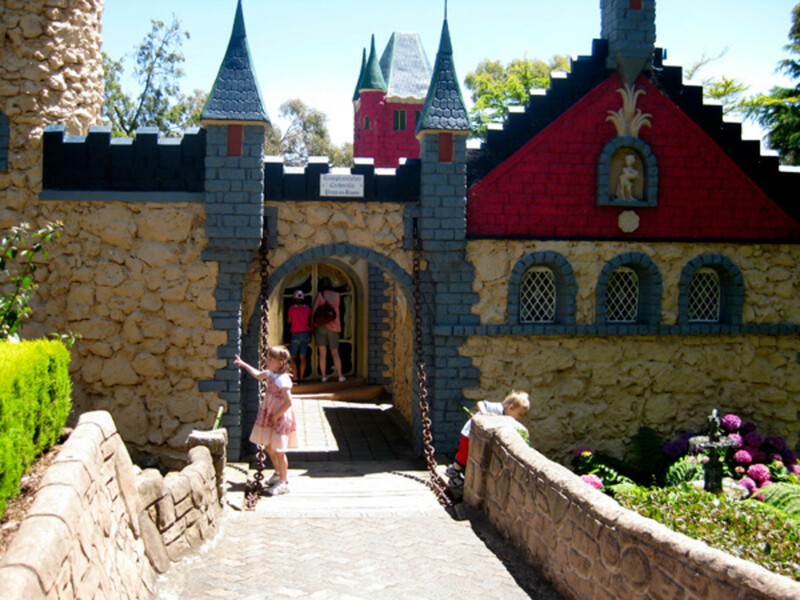 Children love the Camelot Playground and will want to stay there for awhile as it has lots of unique things to do and to them it’s like a real castle they can run around in. They will be thoroughly worn out after the experience – it’s great for children with lots of energy! Fairy Park has a Castle Café, with sandwiches, chips, coffee and more snacks, located on top of the hill. A kiosk and gift shop at the base of the hill stocks drinks, ice creams and a wide range of souvenirs. Some free drinking fountains can be found at the bottom of the hill, near Ye Olde Castle (shown on the map as Ye Olde Shelter). Groups of up to 40 people can be accommodated for birthdays and functions and prepaid tickets to cater for entry can be arranged by phoning (03) 5284 1262. You can reserve one of the larger BBQ areas, or rock up early to claim your preferred spot. 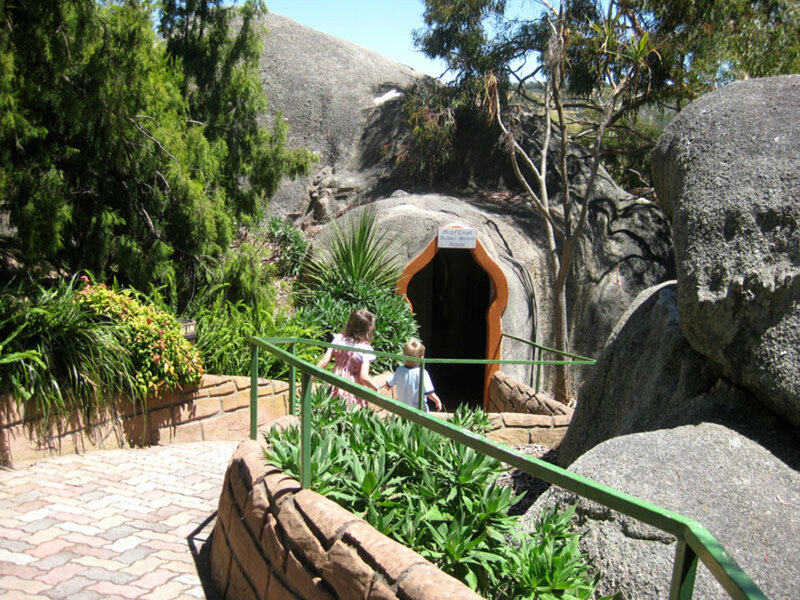 Surrounding Fairy Park is the Elephant Rock Picnic Ground, with picnic benches and BBQ areas, ideal for family barbeques. Koalas live in the gum trees around the picnic ground. 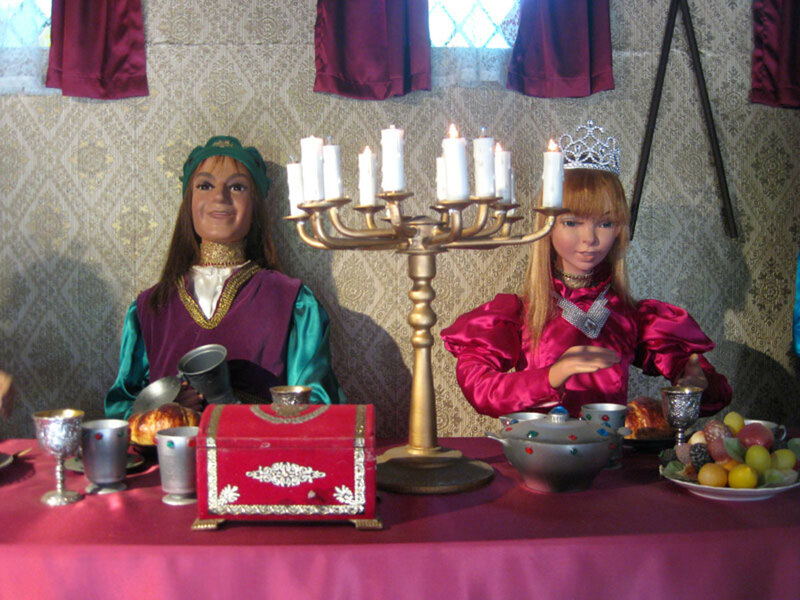 There’s some larger BBQ catering areas, such as the King’s Castle, which seats up to 300 people and Ye Olde Castle, seating 100 people. Toilets are located at the bottom of the hill and have baby changing areas and a disabled toilet. Which is your favourite fairy tale? Where is Anakie Fairy Park? 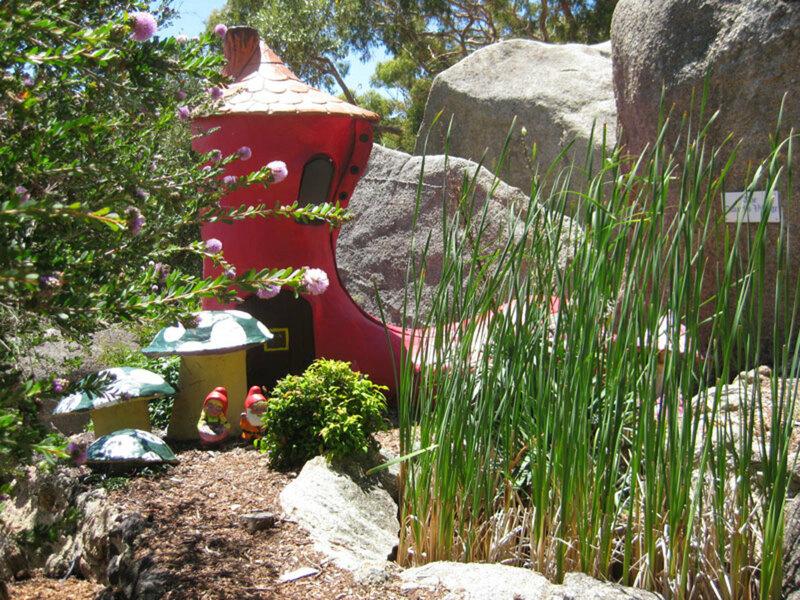 Fairy Park is located at 2388 Geelong-Ballan Road, Anakie Victoria. It is approximately one hour west from Melbourne and is one of Geelongs attractions. Opening hours are daily 10am – 5pm all year round, including all public holidays except Christmas Day. The last admission time is 4pm. Gates close at 5pm sharp. Proper footwear is recommended for walking and dogs are only admitted on a leash. Thank you for reading my Fairy Park review. I'd love to hear from you if you enjoyed Fairy Park as much as I did! 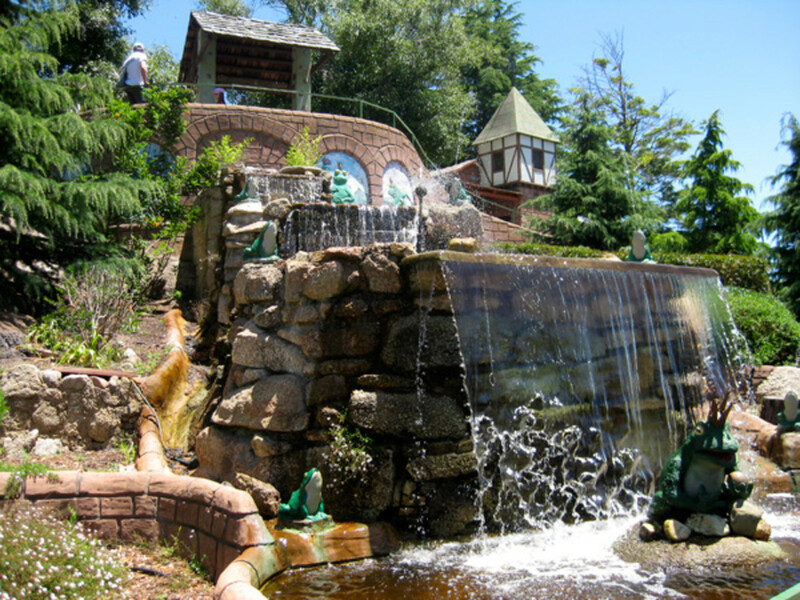 Kids of all ages would love visiting this enchanting Fairy Park. Its awesome that there are places created like this for kids to see and imagine. What a great place for kids and also the adults accompanying them. Terrific photo opportunities as you nicely demonstrated in this hub. Nice to hear of family friendly places like this! Up votes and sharing. My sister will love this. She always fancied herself a fairy princess as a kid. Now it is a family joke that whenever a niece or some other little girl comes along she starts her fairy princess training. This was quite interesting. Thanks for this review of Fairy Park. Looks like a nice place to take my children during the school holidays. It looks like the park is a great day out for the family, but especially for the children. It honestly does look like a place where a lot of family memories are made which is also great for generating a recurring business! It's great fun to visit Fairy Park. We had a very enjoyable day there. 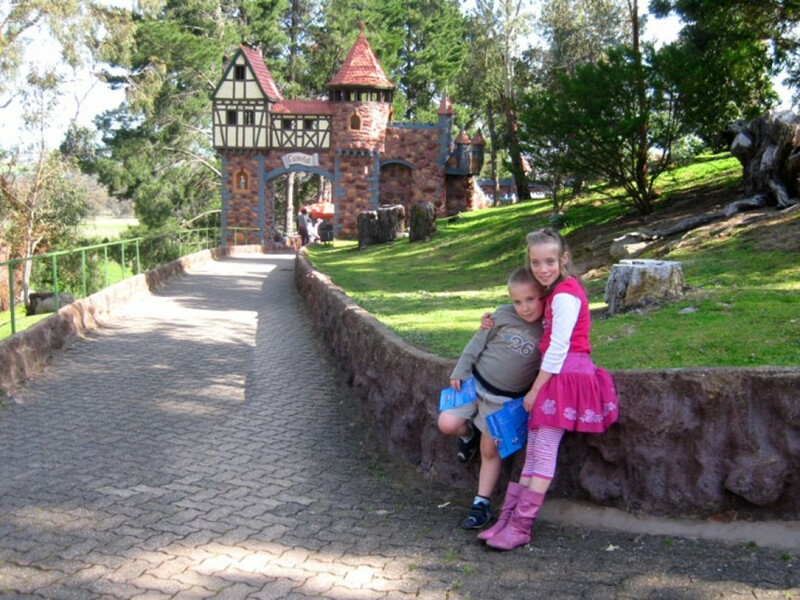 Children find it a magical place and spend lots of time in the Camelot Playground.